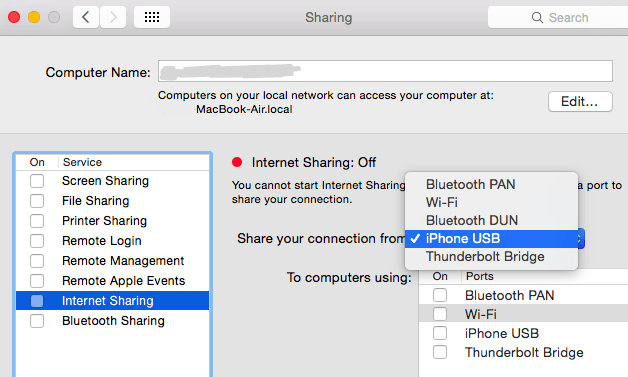 You can share your Internet connection on your Mac with others locally. Your Mac makes it easy to share your Internet connection locally. 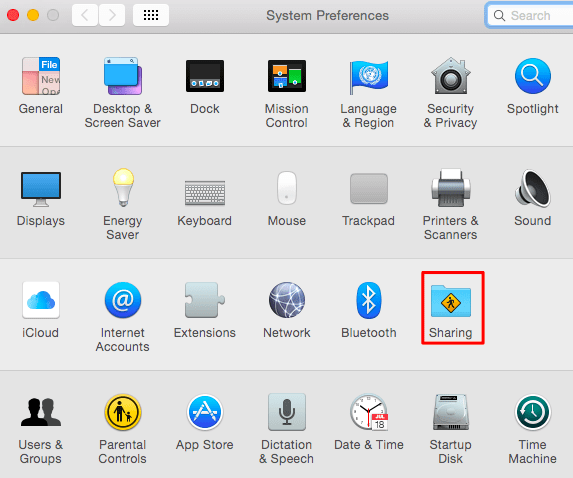 Start by opening the Sharing Preferences via System Preferences. Click on Sharing and select Internet Sharing. Next, choose Share Your Connection From in the menu that pops up and choose the Internet connection that you want to share. This could be Internet over Ethernet or other options available to you. Next choose how you want to share your Internet connection in the To Computers using list. If you are going to use Wi-Fi, select Wi-Fi Options and then select your existing WiFi or add a new one with a network name and password, and then choose Internet Sharing again. 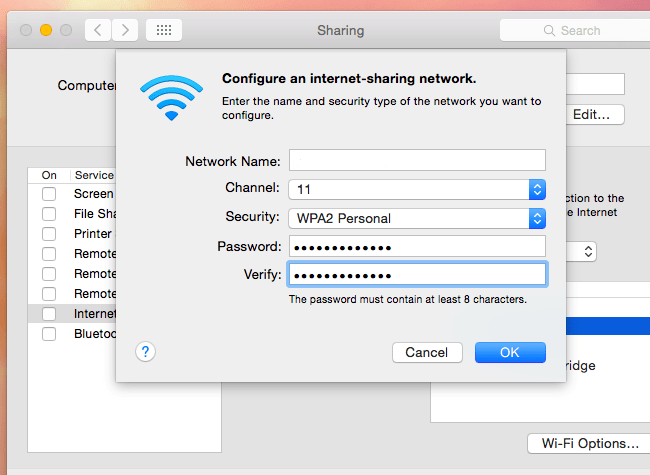 You can also share your Internet connection via your Mac where your computer functions like a wireless hotspot and other devices can connect to it. 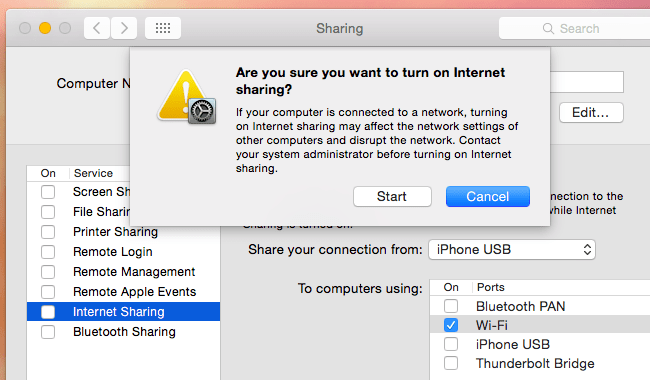 Just like you enabled Internet Sharing via your System Preferences, you can also share it with others over Wi-Fi. You can also share it via Bluetooth or if you are connected to an iPhone using a USB cable. When you select the To Computers Using box and enable the Wi-Fi option, you create a Wi-Fi Spot and the Internet connection that you selected at the top of the window will be shared with devices that connect to the Wi-Fi network. Then configure your Wi-Fi hotspot by selected your preferred network and best Wi-Fi option. Click on the Security box and select WPA2-Personal. Add in the password. The hotspot can be configured without a password by default, enabling quick connections for anyone but you may want to have a password to limit access. Finally, when you are finished setting your WiFi Hotspot up, click on the Internet Sharing checkbox and Start to activate it! You’re ready to go and share your Internet connection. Enjoy!